There is still no word on the cause of the boating accident on Cheat Lake Monday night that injured 12 people, said the West Virginia Division of Natural Resources. A Malibu Wakesetter ski boat was traveling north on Cheat Lake around 9 p.m. when it crashed into an embankment on the eastern shore, DNR officials said. The names of the passengers are not being released at this time, but all 12 were transported to Morgantown-area hospitals. Three people were transported by air due to the seriousness of their injuries, DNR officials said. There are no known fatalities at this time. The DNR will continue to investigate the incident. They will attempt to reconstruct the accident, which could take several weeks, said DNR public information officer Hoy Murphy. The investigating DNR officer also said all the people on the boat were young adults, but it is too early to say whether drugs or alcohol was involved. Just before 9 p.m. Monday evening, emergency officials responded to a boating accident on Cheat Lake in Monongalia County near Warm Hollow. Firefighters on scene said that 12 people were injured in the single boat accident. Three patients were flown by helicopter from the Cheat Lake Volunteer Fire Department and the others were transported by ambulance. All patients were alert and talking upon transport. Several units responded to the accident including Brookhaven Fire Department, Cheat Lake Volunteer Fire Department, and Marion County EMS. Monongalia County Sheriff's Department and the West Virginia Division of Natural Resources are investigating. MORGANTOWN -- As many as 12 people were injured in a boating accident Monday, May 25, near Sunset Beach Marina, on Cheat Lake. A representative of the Monongalia County Sheriff’s Department confirmed that deputies were on the scene and working in conjunction with personnel and a boat from the West Virginia Department of Natural Resources. According to scanner traffic, the accident occurred shortly after 9 p.m., when a pontoon boat struck an object, possibly a tree. Twelve people were reported to be injured, some critically. At least two people were reported to be non-responsive. Multiple victims were flown to Ruby Memorial Hospital from the scene. Injuries included lacerations, impalement and compound fractures. 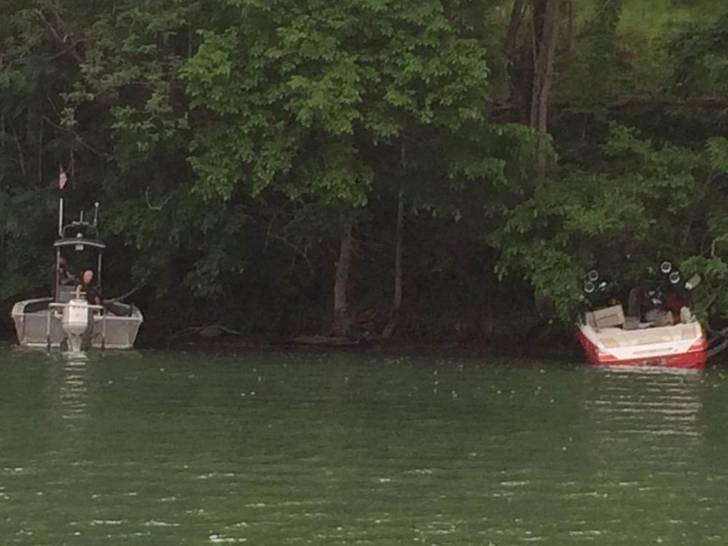 MORGANTOWN — Twelve people were hurt — though none are believed to have sustained life-threatening injuries — as a result of a boat wreck Monday, May 25, on Cheat Lake. Cheat Lake Volunteer Fire Department Chief Jason Christopher said they were called shortly before 9 p.m. for a boat that ran ashore. Christopher said those involved in the incident had cuts, bruises and back injuries. Three of the 12 were taken by helicopter to Ruby Memorial Hospital. Christopher said that all three were alert when they were loaded into HealthNet. Another two were taken by ambulance to the hospital. Christopher said he didn’t know why the boat ran ashore. He added they didn’t smell alcohol on any of the patients. The Department of Natural Resources is investigating the incident.